Here you can find all information about the cannabis breeder Prana Seeds. We've collected data about 4 Cannabis Strains breed by Prana Seeds. Click on the strains to find more informations, pictures, reviews, comparisons and sources for a variety - and/or check out the Breeder Info here at the page to find out more about Prana Seeds. Its also possible to visualize all Prana Seeds strains together with all their Parents or Hybrids with our dynamic maps - check it out! Click here to visualize all Prana Seeds strains including all known hybrids and descendants with our dynamic map! Here you can watch all Prana Seeds strains and their ancestors (sorted by origin) with our dynamic strain map! Prana Seeds are a UK based seed bank that uses only regular genetics and lineage that can be tracked from the 1980 to pre 2000 area. They have over 25 years experience in the breeding game and this carries across to the quality of their genetics! 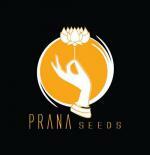 Prana Seeds say their main aim is to provide strains with great quality, quantity, potency and flavour. Their first strain was an extremely vigorous 'Indian skunk' from Sam The Skunkman mother back crossed with a super stable 'The Pure' from Flying Dutchmen. 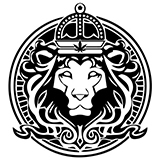 Prana Seeds is working hard to bring the flavours and strength back from the 90's when the dutch and old school growers and smokers knew it as the real deal! Here at Seed City we are excited about being able to offer the Prana range to our customers!